Questions and answers for new Comedy101 members. Chuck Roy hosts a free webinar for people taking our START HERE online course. You’ll experience a Comedy101 webinar. Plus, you’ll participate in a group discussion about your stand-up comedy. Get feedback and advice from professional comedians and other members of Comedy101. Please, click here for the START HERE webinar event page. 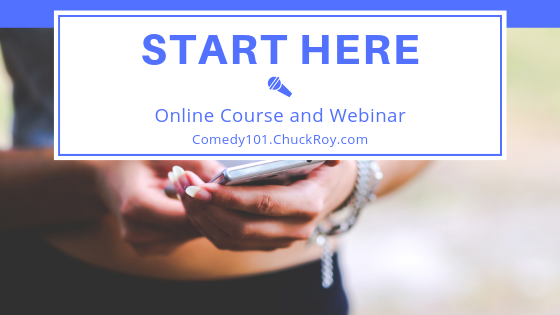 Learn more about the Comedy101 START HERE webinar.